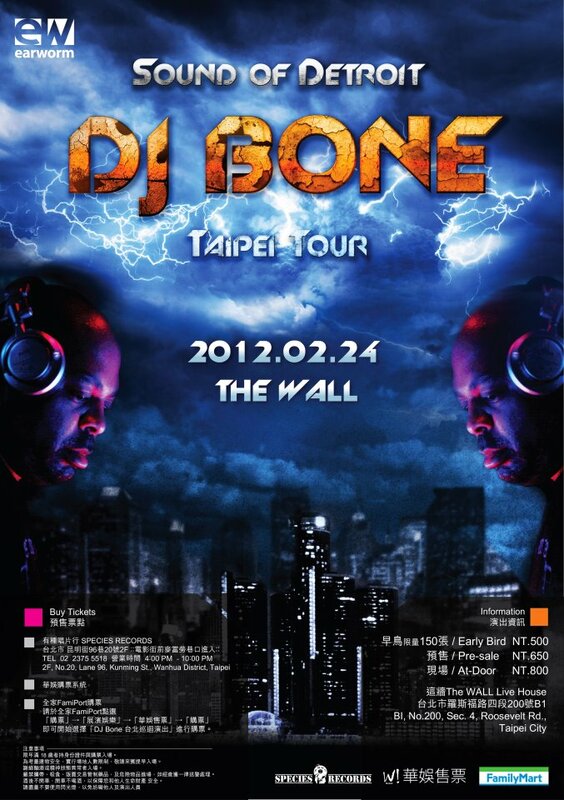 No one can surpass DJ Bone, the legendary Detroit techno master, in his passion and artistry of vinyl record DJing. Unlike many DJs who try to play it safe in front of a crowd, DJ Bone's performance is wild, emotional and improvisational, the expression of the soul of Detroit in its purest form. DJ Bone epitomizes the art of DJing. He shows how it should be done. In the mid 90's, DJ Bone was resident DJ in one of Detroit's most important clubs "The Love Club." Afterwards he was invited by one of the fathers of Detroit techno, Kevin Saunderson, as a guest DJ on his radio show called "Deep Space Radio Show," while the French techno guru Laurent Garnier also booked him to play at Paris's "Rex Club." Wherever he played, in America, Europe or Japan, it is sure that he made a true impact on the audience, taking the definition of a techno music experience on to the next level. He is now the appointed DJ in both I Love Techno (Belgium) and Detroit Electronic Music Festival (DEMF), two of the most prestigious electronic music events. The two music labels under his hand, "Subject Detroit" and "Encounter," focuses exclusively on excavating that soulful sound that belongs to Detroit alone. DJ Bone's uncompromising idiosyncrasy is what keeps the UNDERGROUND spirit alive.